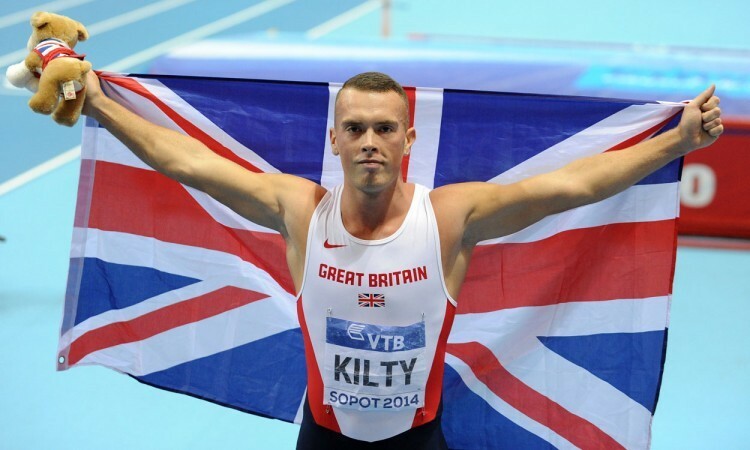 Richard Kilty admits he likes to have an element of adversity in his life. He thrives on it, it keeps him hungry to succeed. However, at the start of 2017 he certainly would never have wished for the number of obstacles that were placed in his path and had to be overcome. There may have been cause for celebration when he successfully defended his European indoor 60m title in Belgrade in March, but that was a rare athletic high spot in a difficult year. Glandular fever and Achilles tendinitis were hard enough to deal with. However, it was a freak accident last summer which was to deliver a crushing blow – both figuratively and literally. 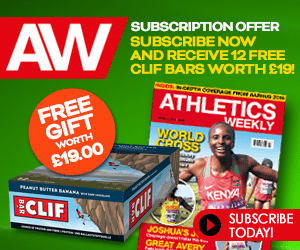 With the IAAF World Championships looming, Kilty accidentally trapped his right hand in a heavy wooden door and suffered a horrendous open fracture to one of his fingers. 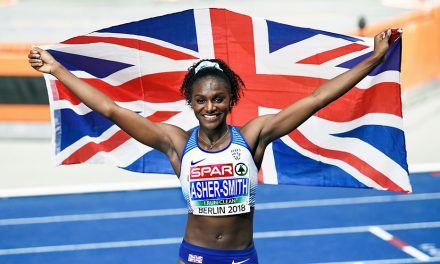 That ruled him out of taking his regular spot in the British men’s 4x100m team and instead he was a mere spectator as his fellow countrymen won the gold medal in European record-breaking style. Whilst being delighted for his friends and colleagues, that moment of celebration also came at a time of pain for Kilty. Searing pain. The medication he was prescribed to cope with the agony of his injured hand left him feeling dizzy, groggy and listless. 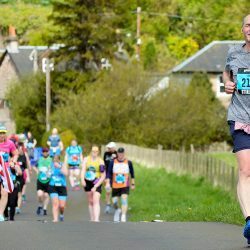 After six weeks of that, and with a wedding at the end of last September to plan, Kilty decided he had to take action and see if he could handle the pain if he was going to find some personal gain. 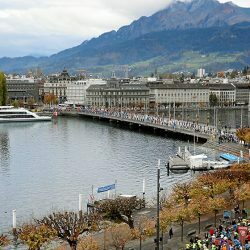 He did and now, following a season-opening performance of 6.63 in France at the end of last month – his first race since June – the 2014 world indoor champion has every intention of being in contention to find out what it feels like to win at a major championships in front of a home crowd in Birmingham in a few weeks’ time. He is forward-facing, albeit the memories of last summer still clearly hurt. “It was really, really tough to miss out (on London),” says Kilty, now very happily married to Lithuanian triple jumper Dovile Dzindzaletaite. “I was over the moon for all of the lads because I’ve been part of the set-up and I know the ups and downs that everybody has gone through. 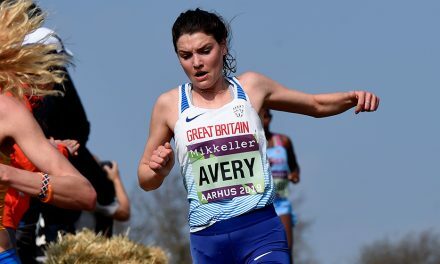 “I was so happy for them but it was also bittersweet as I knew that, if I’d been healthy, I would have been likely to have been one of the people out there on the track winning the gold. I’ve been in the starting four in every major final since 2013 so knowing that was pretty tough. He adds: “I got married on September 30 and I thought ‘I’ve got to get in shape for the wedding’. As time went on, I stopped taking the painkillers, the finger became stronger, then I started looking forward to my wedding and planning it. I was really happy and excited about that. There was little that was straightforward about getting back to the day job in October, however. “It was tough, coming back,” says the 28-year-old. “The first month of training I was vomiting two or three times a week. I’d also lost about a stone of muscle – I was much lighter – so getting back in the gym was pretty tough and my fitness was down. “Around mid-November, however, I started to feel like myself again and since then training has been going really well. 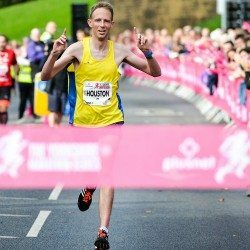 Kilty’s training base is in his native Teesside, where he is overseen by his dad Kevin as well as long-time friend and former British long jump record-holder Chris Tomlinson. It’s a combination which is proving to work well. “I’m based in Stockton-on-Tees and I train with my wife,” says Kilty. 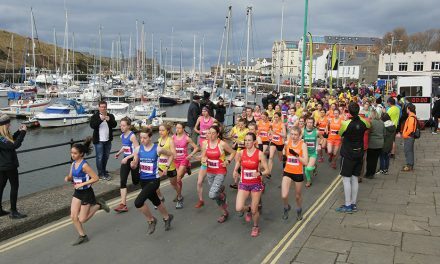 “We’ve got a great group of athletes here – we’ve got all of the best sprinters and jumpers in the North East training with us. “Chris has known me since I was 10. He’s one of my best friends and he really understands me, plus we did a lot of training together in 2014 and 2015. My dad’s obviously always been there for me so we’ve got a nice little group. 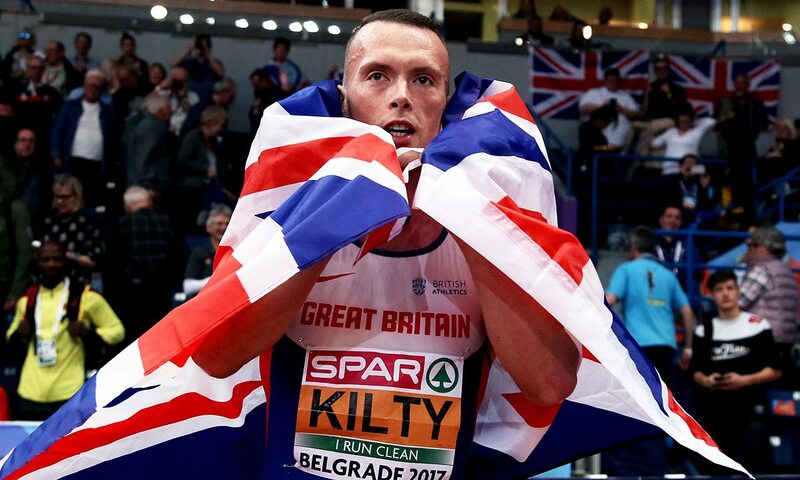 Following the outing in France where Kilty admits he ‘muscled’ his way to the line rather than displaying anything close to his best technique, the fine-tuning has been well under way for the British indoor trials, also in Birmingham, this weekend (February 17 and 18). It is there that he intends to secure his place for the world championships and another crack at a title he raised eyebrows by winning in Sopot four years ago. 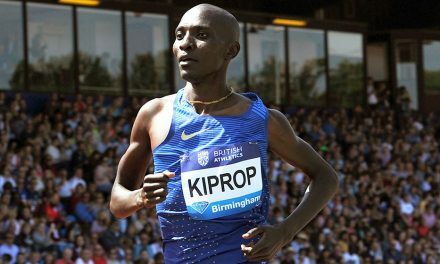 “I couldn’t think of anything better than lining up at the world championships in Birmingham and getting introduced to the crowd – that’s what’s keeping me training and that’s what my eyes are on now,” he says. “The prospect of a home championships and knowing that it’s a title I’ve won before is huge. 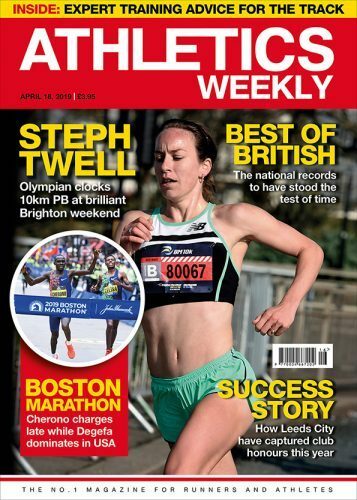 There aren’t many British athletes who have achieved what I have indoors – I’m a world and double European indoor champion – but it’s going to be tough. “You’re going to have the likes of Christian Coleman, and we know he’s going to be a huge, huge threat in the 60m. 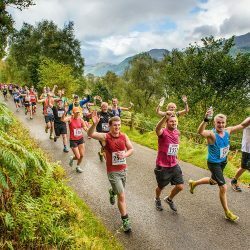 There’s also all of the British competitors but it’s a challenge that I’m really up for. World 100m silver medallist Coleman, who clocked 6.37 for 60m and a world record (which is still to be ratified) last month, will indeed be a major barrier to Kilty realising his aspirations. However, Kilty adds: “With the 60m, I just seem to have a lot of confidence when it comes to the major championships. I know that this is where it really counts and this is where I have to deliver – I’ve got no choice. “I feel a sense of calm and acceptance that ‘this has to be done now’. There’s no time to think about anything, I’m just calm, I compete in the moment and I completely soak it all in. That helps me deliver. Kilty’s appetite to succeed will be considerable, too. To add to the list of his injury problems, Kilty’s sponsorship deal with Nike was not renewed. That’s just more fuel to the fire, it would seem. “I do feel like I like to test myself against some form of adversity,” he says. “When things are handed on a plate to me and seem to go smoothly, I don’t seem as hungry and I don’t have the same fight.